In this letter, Martha Berry is requesting to use and recieve a photo of Mr and Mrs. Hammond to use in the next issue of the Southern Highlander. 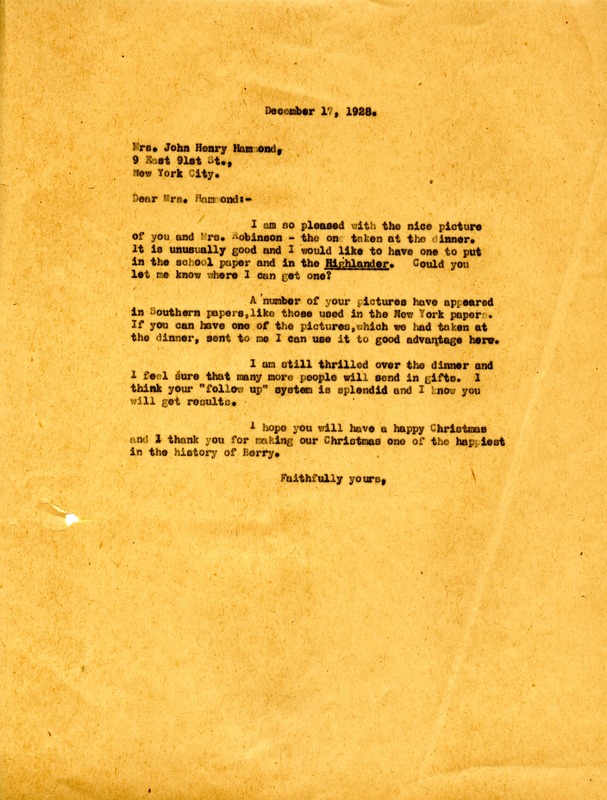 Miss Martha Berry, “Letter to Mr. and Mrs. Hammond from Martha Berry.” Martha Berry Digital Archive. Eds. Schlitz, Stephanie A., Jordan Brannen, et al. Mount Berry: Berry College, 2012. accessed April 20, 2019, https://mbda.berry.edu/items/show/7754.